Indowebhub is Top Digital marketing & Web Development company in Delhi/NCR. we are a professional outsourcing, web designing and development, software Development & Digital Marketing Company that successfully operates at the IT-market in Delhi/NCR. We have hired a highly skillful web designing & development, outsourcing developer’s team in our company. We are the one of the pioneering, creative and most importantly client-friendly digital marketing service providers in the Digital World. We provide our clients with a strong creative digital marketing identity because we focus on the problem and analyzing or understanding the requirements of the customer, suggesting effective and affordable solutions and creating the innovative strategy and better conversion. We Work for Client as a Business partner and this whole working passion for work shown, whether it's SEO Services, Social Media Marketing, Pay Per Click Strategy, Online Reputation, E-commerce Website, CMS Website, WordPress, Online Portal, and Website Design & Development, has got us rated as one of the top Website Design Company in Delhi/NCR. 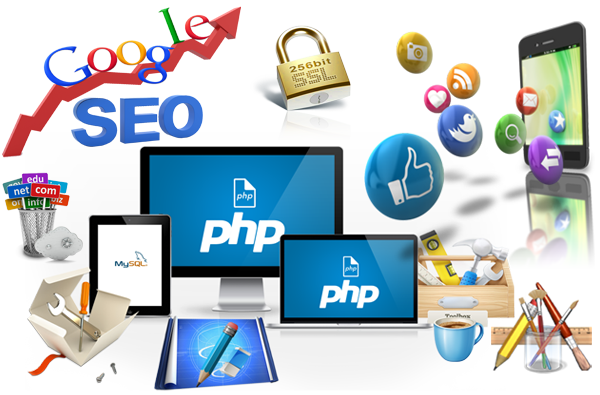 We are committed to our values as one of the most responsible web development and SEO company. Our main focus to produce highly creative unique work that helps in better marketing and directly help in increase revenue through sales and brand awareness through content marketing strategy. We believe in maintaining a long-term relationship with our clients and thus, we put every possible effort to satisfy them with our work. Thanks to this we are able to provide our clients with the best services at a very competitive price.